Quality relationships can be tough to maintain even if the two people involved have lots in common. But if only one person suffers from an equine addiction, striking a balance can be even more difficult. Most people today would say they’re too busy. Many work full-time jobs while trying to spend time with friends, maintain their health by cooking healthy food and visiting the gym, and possibly caring for children or aging parents. This non-stop schedule certainly doesn’t leave a lot of time to spend with a significant other. Add to this a devotion to an equine endeavor, and “free time” becomes even scarcer. For most riders, at least two to three days a week involve a trip to the barn; for those with horses at home or on self-care, this number could creep up to seven days a week, sometimes multiple times a day if you have a horse with health concerns. While it’s ingrained in most horse women to be fiercely independent (sometimes to a fault), always doing things solo isn’t the way to promote a strong, healthy relationship. We all know a woman (or a few) who has the mentality of “it’s my way or the highway.” While this attitude can ensure that she’s able to do continue doing what she loves, it can prevent her from having a meaningful, committed relationship with someone who would like to feel that their opinion is valued. It’s a very challenging time to be a woman, notes Jennifer Speisman, PsyD, HSP, PLLC. “Finding the balance of strength and empowerment while still maintaining important relationships is increasingly difficult,” she says. Women are inundated with mixed messages about what it means to be an independent woman. “We’re encouraged to rely on ourselves and work hard to achieve our goals, and then simultaneously shamed for neglecting what are considered more ‘traditional’ feminine gender roles, such as dependence on a man and prioritizing family and domestic matters over professional or personal pursuits,” she explains. These conflicting sentiments can often feel like a no-win situation for horse lovers. No matter where we spend our time, whether at home or at the barn, we feel guilt for not spending more time in the other place. One key to coming to terms with these feelings is letting your significant other know exactly why the horses are important to you. It can be very difficult for a passionate horse person to convey just how meaningful horses are to someone who doesn’t feel the same way. This difficulty can be compounded if the significant other doesn’t have an equivalent hobby or interest you can compare the horses to. If you don’t make an effort to help your non-horsey partner fully understand the importance horses play in your life, they may begrudge or resent the fact that you would rather be at a show or on a trail ride instead of on a tropical getaway, Speisman explains. Additionally, understanding the financial commitment required to keep horses is integral to having a conflict-free relationship. While not every happy couple lets the other know in detail what is spent on equestrian pursuits, it’s important for them to at least understand that horse ownership requires a hefty responsibility. Giulia Mattarello Garcia, an executive assistant at WinStar Farm in Lexington, Ky., is married to Joe, a non-horsey husband. The owner of one horse, Giulia keeps her horse on self-care to help keep costs down. Giulia is extremely forthright about how much money is spent on her horse’s upkeep. “It’s only fair to keep him in the loop,” she says, since they have a joint account. When Giulia’s horse battled some health issues that required additional veterinary care, she had to explain to Joe that the care needed was required for her to be able to ride the horse, which for her is the point of horse ownership. Once explained in a way he understood, Joe had no issues with the ongoing treatment to get the gelding healthy. 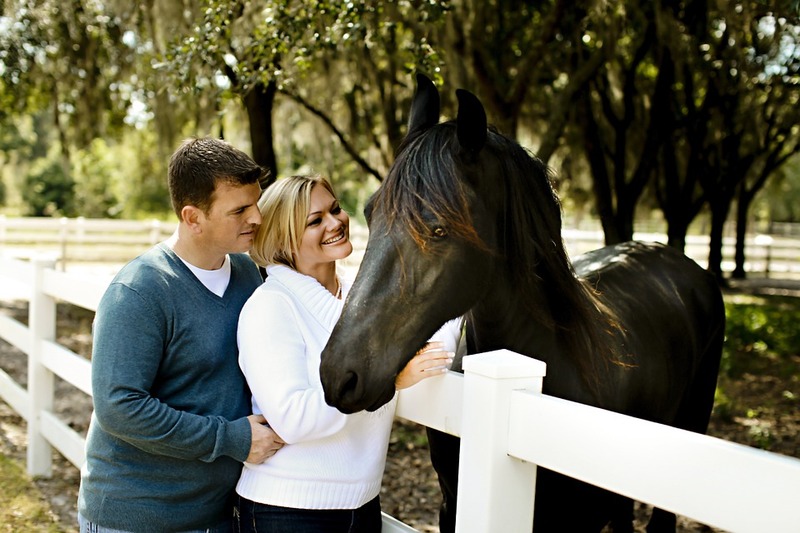 For other couples, horse costs are discussed on a need-to-know basis. For some, as long as the rider’s portion of the bills can be paid, the non-riding spouse figures what the horse lover does with her money is her prerogative. Rachel Tussey works for a direct sales company and pays for her retired off-track Thoroughbred, Winston, with her paycheck only. 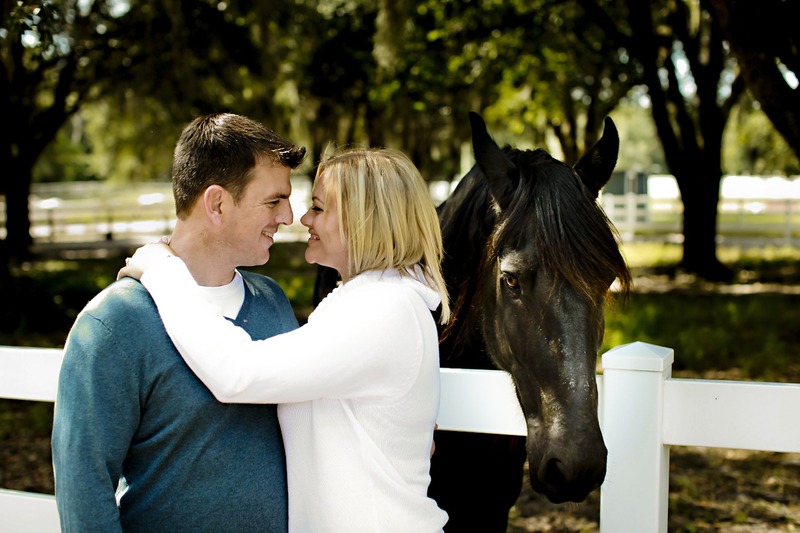 While Chad, her husband of 13 years, doesn’t have issue with how much money is spent on Winston, Rachel says they both agree that it would be nice to spend the “horse money” on other things sometimes. That being said, Chad, like Joe, understands that some horse-care expenses are non-negotiable, like board, vet and farrier fees. So, while you can’t always compromise on horse-care costs, the question is, what can you compromise on, and how do you achieve that? “Compromising is a difficult skill to acquire,” acknowledges Speisman. “Like anything else, it’s a matter of harnessing motivation and values, and finding the reasons why it is important.” What many people don’t recognize is that compromising is a skill that can be learned, and that actively cultivating compromise is something that can be worked toward, she notes. So how do you find a happy middle ground between the horses and home life? This is why it’s essential to try and maintain as much perspective as possible. “If sacrificing your riding to support your partner’s golf passion seems unreasonable to you, why should they do that for you in return?” Sometimes it’s easy to overlook the other person’s point of view. However, compromising doesn’t mean that one person bows to the will of the other; it means truly and effectively finding a middle ground where both parties can be happy and comfortable. This may be as simple as designating one day that doesn’t involve horses or the barn, or it could be as detailed as saying you will travel together for two weeks a year to another area of the country, no matter what is going on at the farm. While many equestrians believe that the only way to have it all would be to either have more hours in the day or to require less sleep, there is a way to keep both halves of a couple happy, though it will require some sacrifices. Compromise is the key, she says, and a lot of times that means that the equestrian is the one who is making the concessions to keep both her husband and her horses happy. Other compromises could include horse showing only a set number of times per month, or getting up early (even on weekends!) to ride so there is more time to spend at home. Amanda Bryant, also of Kentucky, rides her Quarter Horse three to four days a week and competes about once a month on the Quarter Horse circuit. She says the key to keeping her horse and marriage on track is balance. Amanda also stressed the importance of your significant other having a hobby or doing something for themselves. “Having time for yourself is critical to personal development,” she says. Sharing your barn time isn’t for everyone. For some riders, their time at the barn is sacred, allowing them a space where they can get away from everyday pressures; adding a husband into the mix might make the barn lose its appeal. However, involving your husband or significant other in your equestrian pursuits might also bring a depth to your relationship that is lacking. No matter your decision, what’s important is that it works for both you and your SO. While having both a happy horse and a happy home can seem like an elusive goal for some horse lovers, it can be done through compromise and dedication, both to the horse and the husband. Based in Lexington, Ky., Sarah Coleman has a soft spot for chestnuts with chrome, including her off -track Thoroughbred, Chisholm. She rides in the hunters. This article originally appeared in the February 2016 issue of Horse Illustrated magazine. Click here to subscribe!